A gentle reminder to our world leaders! 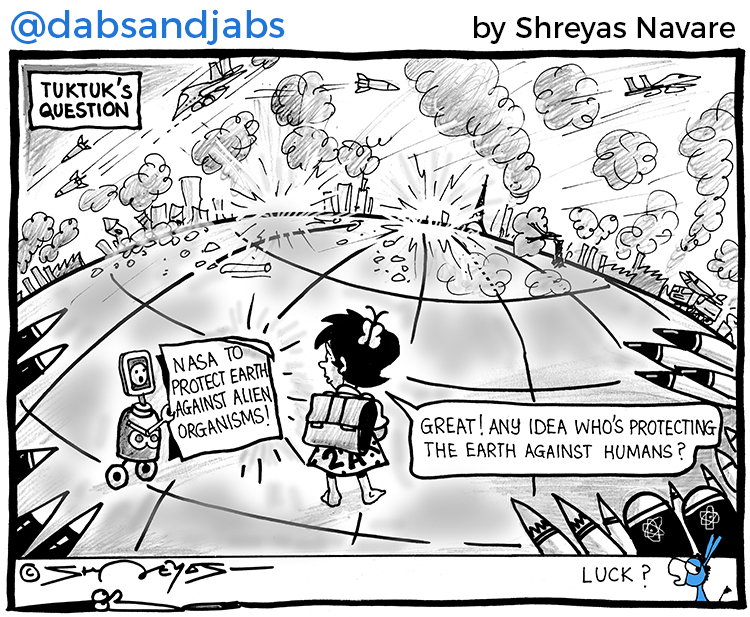 Tuktuk's question on NASA's new job announcement! A caricature of the next Vice-President of India! © Shreyas Navare Art. All rights reserved.